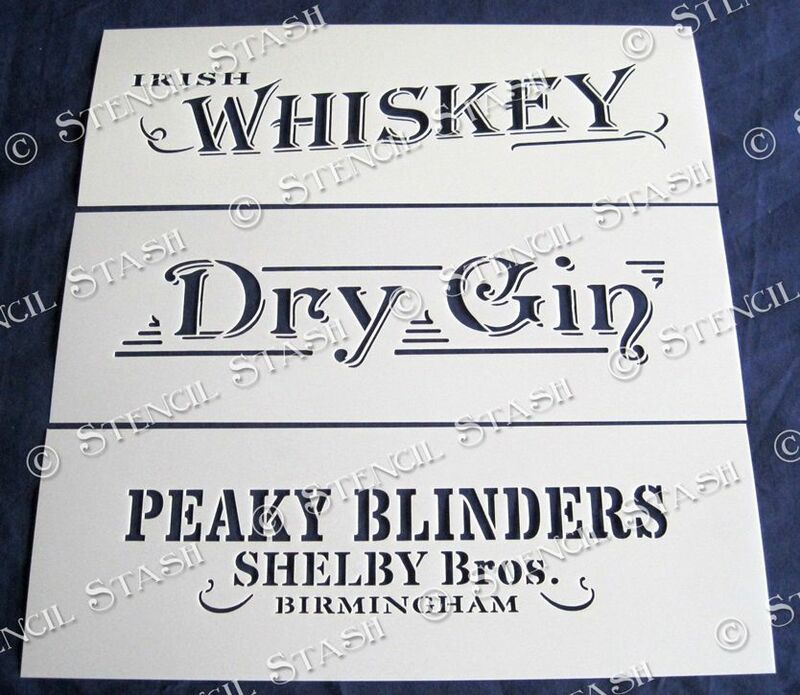 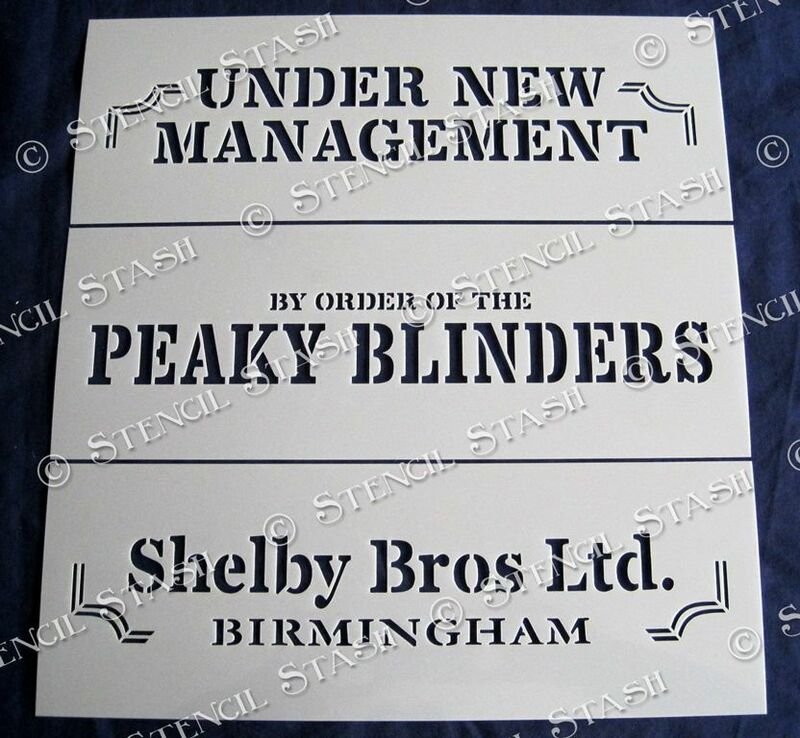 Choose from a selection of Peaky Blinder designs to mix and match on your projects. 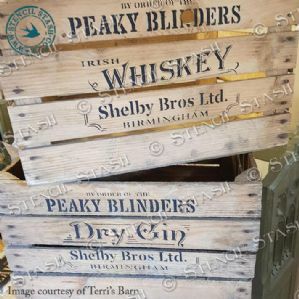 Styled after the original Peaky Blinders from Birmingham, England in the early 1900s. 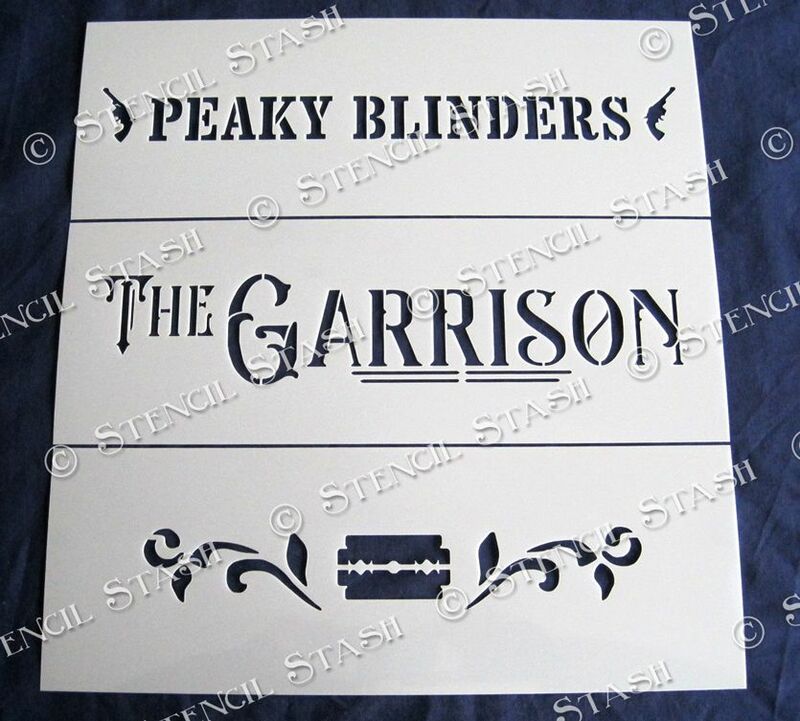 The designs vary in size but the maximum size is width 270mm and height 60mm, 10.5 x 2.25". 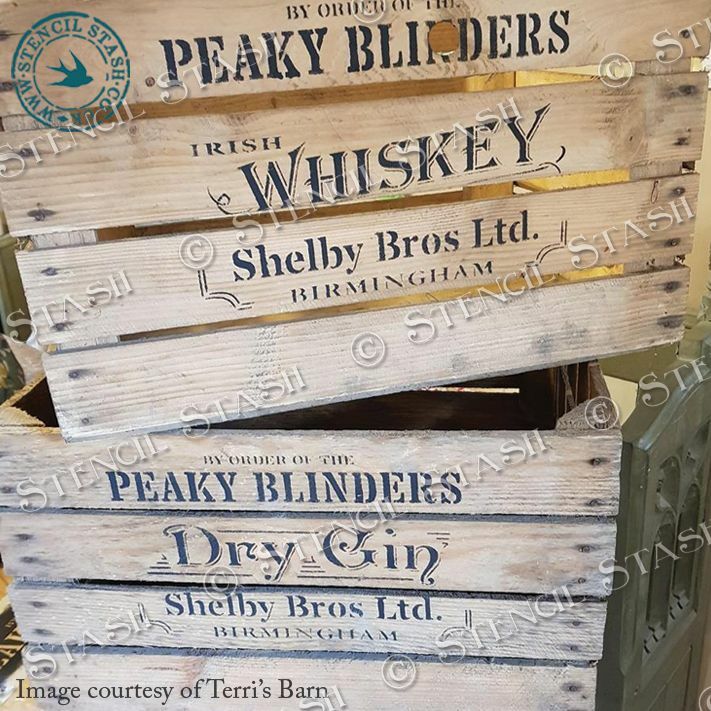 Perfect for crate panels, boxes, wood crafts, signs and furniture. 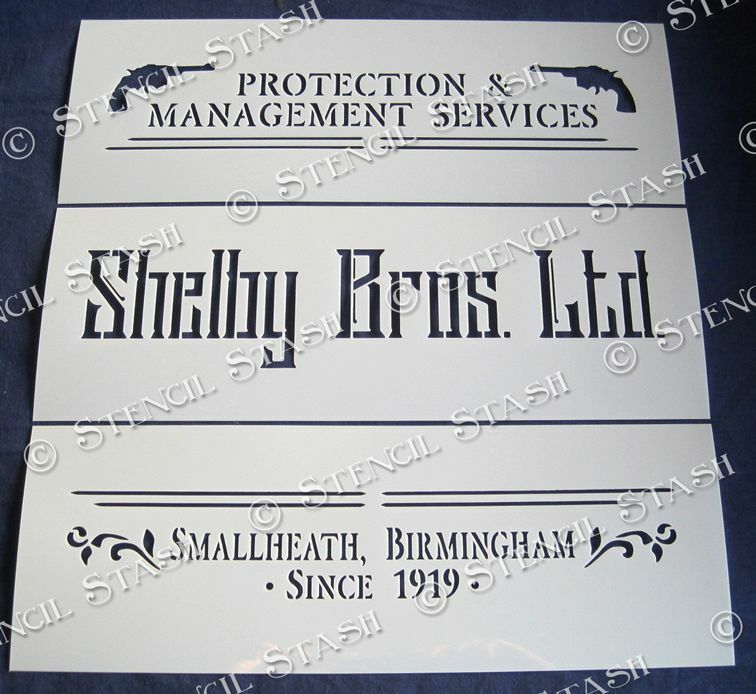 Supplied on a sheet of thicker quality 250 micron Mylar, 150 x 300mm.